With its mix of classical and contemporary recipes and mouthwatering excerpts from the works of Russia’s great writers, A Taste of Russia offers readers an intimate look at Russian culture and cuisine. Darra Goldstein is equally at home with grand dishes from the aristocracy’s haute cuisine and the peasantry’s heartwarming soups and pies. 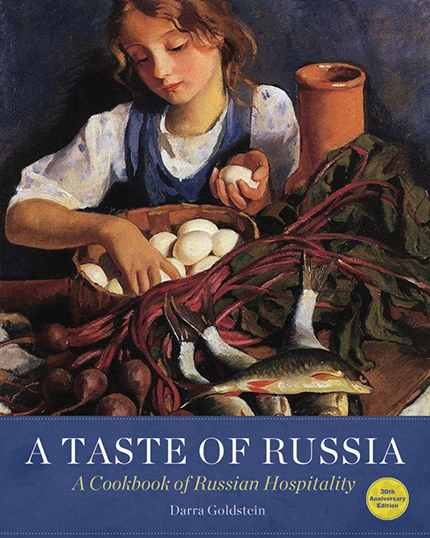 Now in a 30th anniversary edition, A Taste of Russia remains definitive, layering superbly researched recipes with informative essays on each dish’s rich historical and cultural contexts.